The weather forecast for today (Friday 12th July, 2013) and the weekend was lousy, so sadly it put a halt to any plans of activating any SOTA summits. I was getting itchy feet after my trip to the Eyre Peninsula last month, but the forecast showed that we were expecting heavy rain. But whilst enjoying my Friday morning coffee I kept looking out the window and the weather seemed okay, so I packed the car with my radio gear and headed to The Knoll Conservation Park, which is about a 15 minute drive from home. 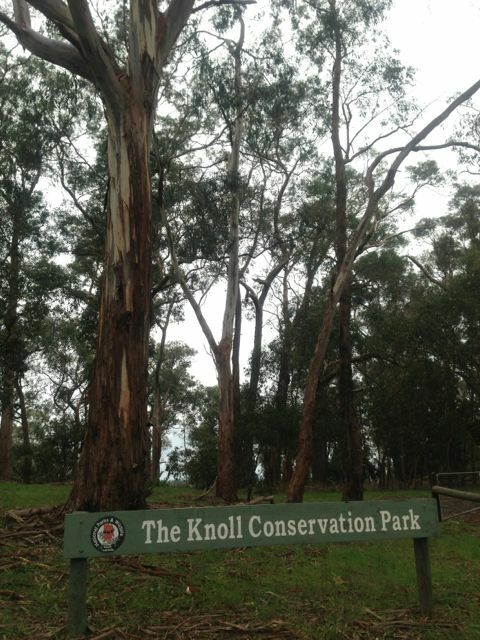 The Knoll Conservation Park is located at Crafers West, about 20 kms south east of Adelaide, in the Mount Lofty Ranges ‘Adelaide Hills’. Access to the park is via Upper Sturt Road, slighty south of Sheaok Road. I have driven passed this park probably hundreds of times, but I had never visited it. In fact if you blinked you would probably miss it. It is well signposted but is only a very small park. There is a smalI dirt area just off Upper Sturt Road at the entrance to the park, so I parked the car there, and walked up the dirt track for about 100 metres. There is a large tower and associated buildings at the top, but I found after setting up my gear that it had no affect on the noise floor. There are plenty of options here to string up a dipole, with lots of large gum trees. I set up the dipole on the southern side of the tower as there were a few more options there and room for the dipole to run north – south. Whilst setting up the antenna I had a friendly group of kookaburras who must have found something funny. The view out to the east is really quite impressive. Although the weather was pretty average and there was quite a bit of low cloud, there were still good views out across the Sturt Valley, towards Victoria and New South Wales. There is quite a significant drop in terrain out to the east. The park is about 571 metres ASL. I found a comfy spot under a large gum tree and started calling CQ on 7.100 but after 5 minutes of calling I had no takers. I knew that there were going to be a few SOTA activators out this morning, so I moved down to 7.090 and heard Brian VK5FMID who is a regular ‘Hunter’ of the VK5 Parks Award. I gave Brian a call after he finished his QSO, and he was a very good signal from Mt Gambier. This was followed by Ron VK3AFW who was mobile. Marshall VK3MRG who was operating portable in a park in Kew, also called in. He also had a good strong 5/8 signal. I then moved back up to 7.100 to leave 7.090 for the SOTA fellas, only to be followed up by Allen VK3HRA who was portable on SOTA peak Mount Torbreck VK3/ VN-001. Allen had a very good strong signal (5/8 both ways). I then had a QSO with Col who was using just 10 watts and was a very good strong 5/8. Goes to show as Andrew VK1NAM has pointed out, is that in most cases SOTA ‘Chasers’ or Park ‘Hunters’ don’t need to use high power. 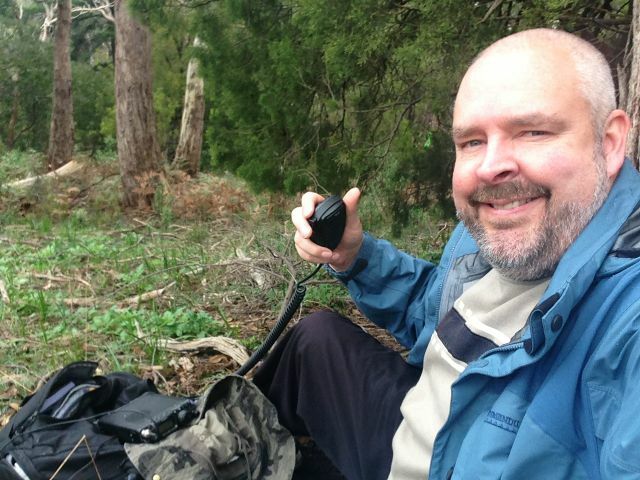 My i-phone bleated from the SOTA Goat application, so I slid down to 7.085 and spoke with Andrew VK1NAM and Al VK1RX, who were operating portable from SOTA summit Mount Ainslee VK1/ AC-040. This was followed by a contact with Rick VK3KAN who was mobile. Rick had a great signal coming out of his mobile station. My last contact of the day was with Andrew VK1DA/3 who was portable on SOTA summit Mount Delegate VK3/ VG-034. 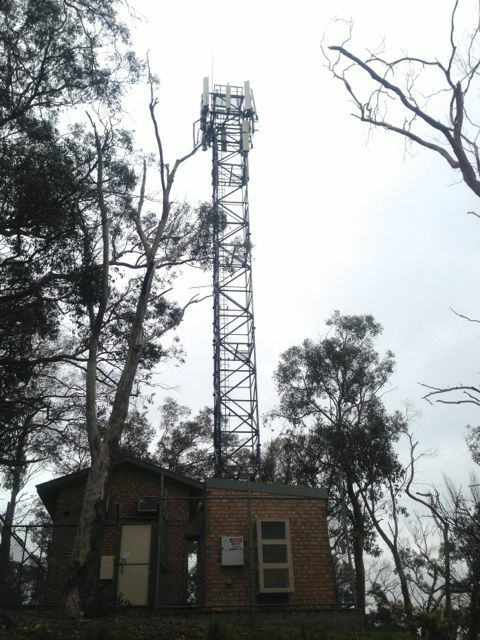 Stations worked were:- Brian VK5FMID; Ron VK3AFW/m; Matt VK1MA; Nick VK3ANL; Marshall VK3MRG/p (in Kew); John VK5FTCT; Allen VK3HRA/p (SOTA); Col VK5HCF; Dave VK3VCE; Brenton VK3CM; Andrew VK1NAM/p (SOTA); Al VK1RX/p (SOTA); Rick VK3KAN/m; Bernard VK3AMB; Mal VK3AZZ; Andrew VK1DA/3 (SOTA). 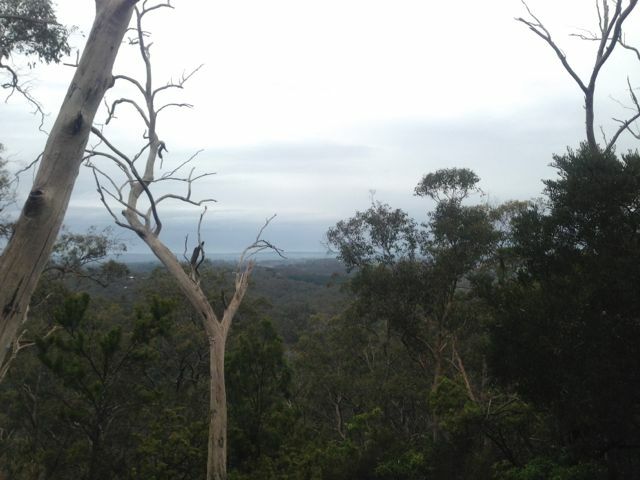 This entry was posted in Conservation Parks and tagged Adelaide Hills, Mount Lofty Ranges. Bookmark the permalink.